ake a moment to do the math. 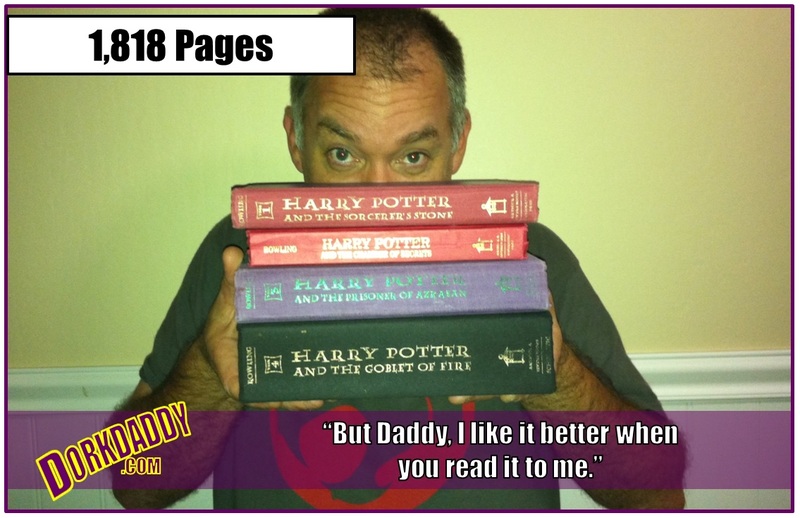 “Sorcerer’s Stone” – 309 pages. “Chamber of Secrets” – 341 pages. “Prisoner of Azkaban” – 435 pages. 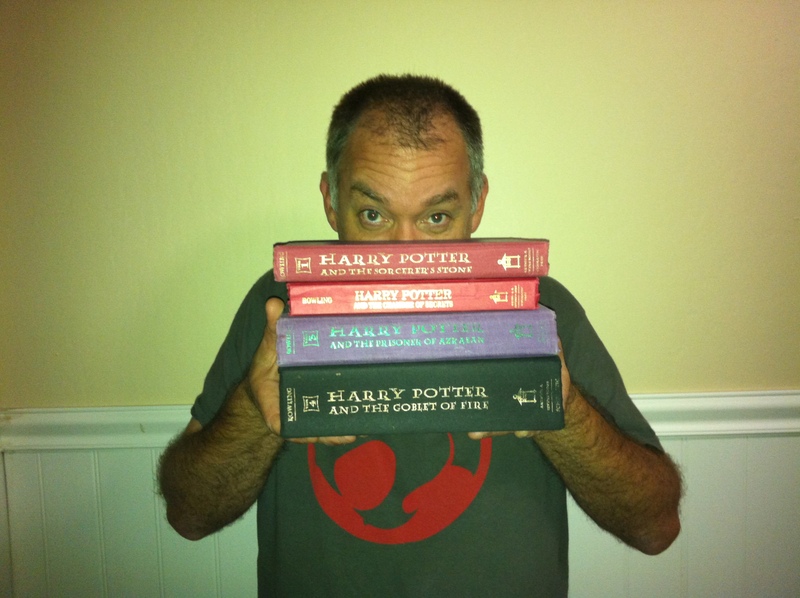 “Goblet of Fire” – 734 pages. Yeah. I don’t think so. One thousand, eight hundred and eighteen pages… and still 3 books to go. At long last we made it to the end of the 4th book in the Harry Potter series; which is to say *I* made it to the end of 1,818 pages — bit by bit, night after night, reading aloud to my two older children over the better part of a year. As per our agreement we let them watch the 4th movie for Friday movie night. As excited as they are about those stories and as pumped as they were for the movie, there has been an twinge of sadness in the air since then because sadly, at least for the time being, this is where we have to stop. In less than 12 months, with the exception of the odd guest-reader here and there, this DorkDaddy has read aloud every single one of those pages, doing all of the voices and keeping them all straight in my head. I don’t mind admitting I’m exhausted. But more importantly, this is where the subject matter really extends beyond the grasp of a 7 and 5 year old. “Harry Potter and the Goblet of Fire” is where the series, much like the kids in it, matures from children’s fare to young adult material. Students at Hogwarts start to notice other boys/girls in *that* way, and the romance angle between Hermione and Ron shows its first signs of life. Thankfully at this point all those nuances are lost on my kids. This is also where Lord Voldemort legitimately comes back to life in a dark, sacrificial ritual and the larger epic life-or-death struggle between dark and light factions comes starkly into focus. A classmate of Harry’s is even killed outright. I think we can all agree that there’s no need to push a kindergartener and 2nd grader into that sort of material before they’re ready. Finishing book 1, back in November. That said, my daughter being who she is, made an impassioned plea to read book 5 to herself, on her own, and keep going with the series. Here’s the thing. The rule in the house has always been that you have to read the book before you can watch the movie. That’s been a great strategy for keeping inappropriate movie material out of their reach. 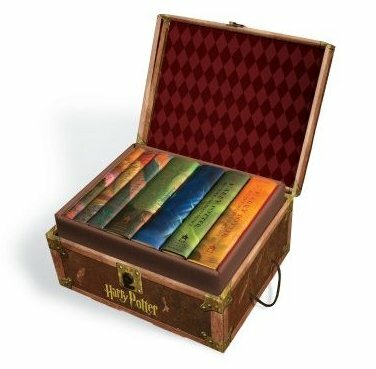 The next book in the series “Harry Potter and the Order of the Phoenix,” is 870 pages long. In all seriousness, the way I see it if a kid is mature enough to legitimately make it through a 870 page book completely on their own, he or she should be mature enough to handle the subject matter. So when Episode IV made her case, I handed the book over to her knowing the chances were slim. Still, Saturday night after the boys went down, Episode IV went to her room with a new Harry Potter book to read and a twinkle in her eye. This was big kid stuff. 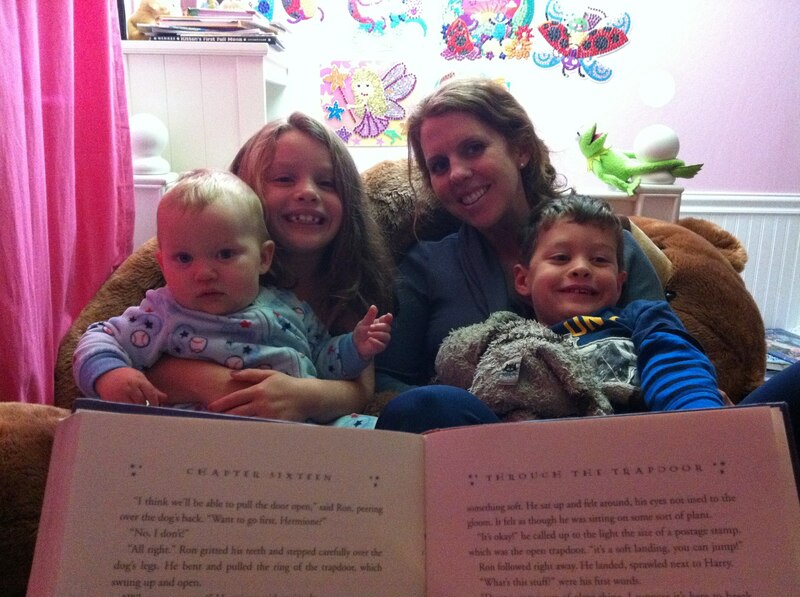 To sweeten the deal I even told her she could stay up as late as she wanted, so long as she was reading from that book. I tucked her in, kissed her on her forehead, wished her “good night and good luck” with a wink, and closed her bedroom door. UnDorkMommy went out for mom’s-night-out with her girlfriends and I settled in to dip my toe into a new video game. Half an hour later Episode IV came out of her room and padded down the hallway to me. “Daddy,” she said sadly, a defeated look on her face. “I like it better when you read it to me.” Bless her sweet heart, she pushed through seven pages before she had to acknowledge that a book like that is just a little bit bigger than she could chew. I hugged her, told her it was OK, and took her back to her room to tuck her in again. I know what someone’s getting for Christmas. “But Daddy,” she said. “What are we going to read now?” The flaw in my plan was revealed. For all my hand-wringing about how I was going to wean her off of the Harry Potter books I forgot to have a viable alternative ready to go. I scrambled quickly through the house for something that might be comparably dorky and appropriate for her age and stumbled across “The Hobbit”. We’ve had a false start or two on that book before when she was younger, but I’m happy to report that the tone and the style of “The Hobbit” is now perfectly suited for my precocious 2nd grader. After our first installment reading and our 2nd good-night tucking in of the evening, Episode IV said to me “Daddy, I like the Hobbit OK and we can keep reading it, but it isn’t my favorite because there aren’t any girls in it.” Fair enough, sweetheart. Fair enough. Although I must say I suspect, at least in my daughter’s mind, that Hermione Grainger could hold her own pretty well in a wizard’s duel against Gandalf The Gray. Any suggestions for female-friendly, 2nd grade appropriate, fantasy-type books would be appreciated. 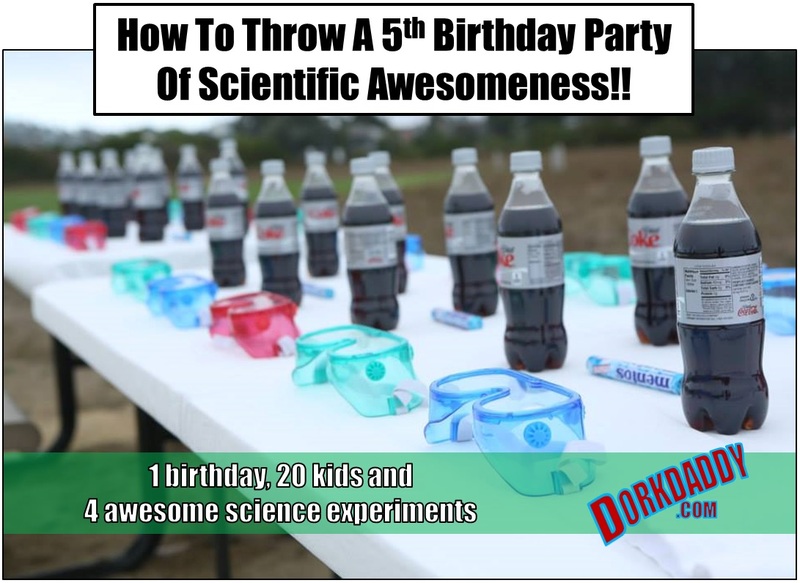 How To Throw A 5th Birthday Party Of Scientific Awesomeness!! he weeks of summer were slipping by. The first day of school was on the distant horizon and although the kids were blissfully ignorant, the parents knew there was one last major item of business to take care of before launching into full-on get-ready-for-school mode. 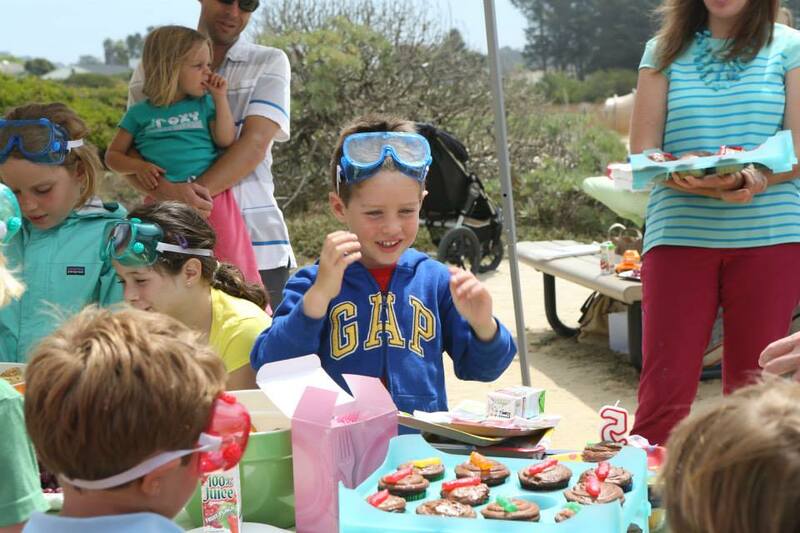 Episode V was turning 5, and the kid needed a birthday party before the whole world disappeared into backpacks, class rosters, lunch boxes and new shoes. The boy was lost in play at the moment, and could only offer 10% of his total mental bandwidth to the conversation. “I don’t know,” he replied. “Do you want a superhero theme?” she asked. “Mmmm” came the noncommittal response. “What about a Lego theme?” The only answer from the boy was the sound he made of two plastic robots crashing into each other. “Or how about a bike party?” The sound of battling robots stopped as Episode V realized that UnDorkMommy was still talking to him. “YEAH! YEAH! YEAH!” shouted the boy. DorkDaddy threw a smug wink to UnDorkMommy, which was returned by an icy sneer – at once a reminder of who’s who around the house and also a warning not to push his luck one millimeter further. Later that night the division of labor was established. “You realize this one is all on you, right?” said UnDorkMommy. Below is an account of how I ran things. Was I successful? I’ll let you be the judge. E-vite invitations and reminders went out with specific instructions. 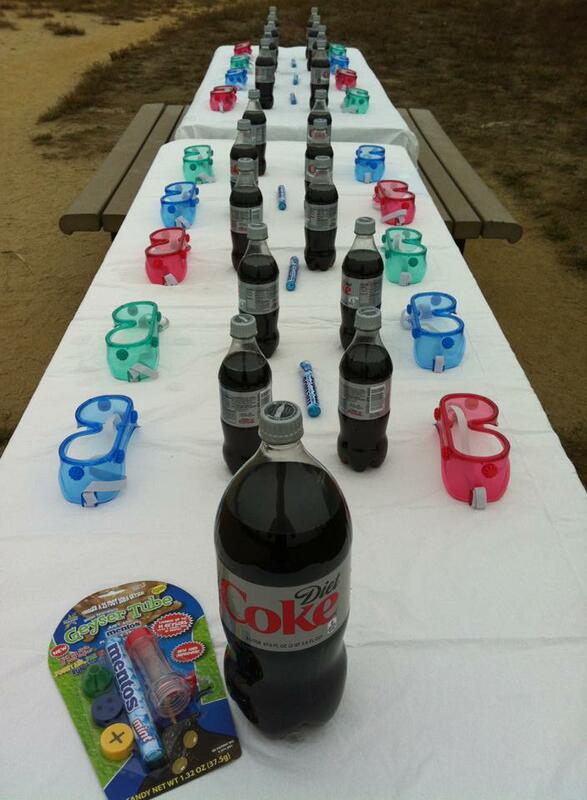 This would be a parent-assisted birthday party. No drop-offs and pick-ups after the festivities. Kids were also encouraged to bring their bikes and helmets. The party would be held at the local park, and there would be some down time here and there, perfect for biking around the dirt track. Between the kids Episode V knew and their siblings, we expected 18 children (and their parents). So we planned all activities for 20, just in case. Once everyone made it to the party it was time to gather around the table for the first experiment. 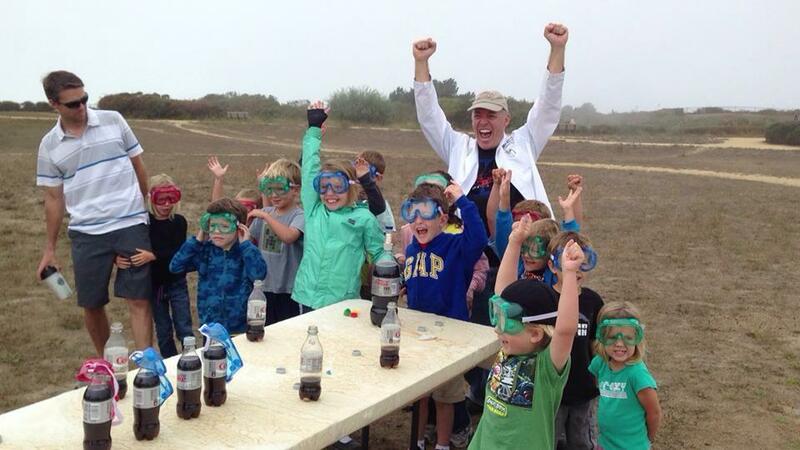 It’s important to point out that when teaching science, enthusiasm has to be high. The dork-factor has to be turned all the way up. Success in teaching science lives and dies in the presentation. 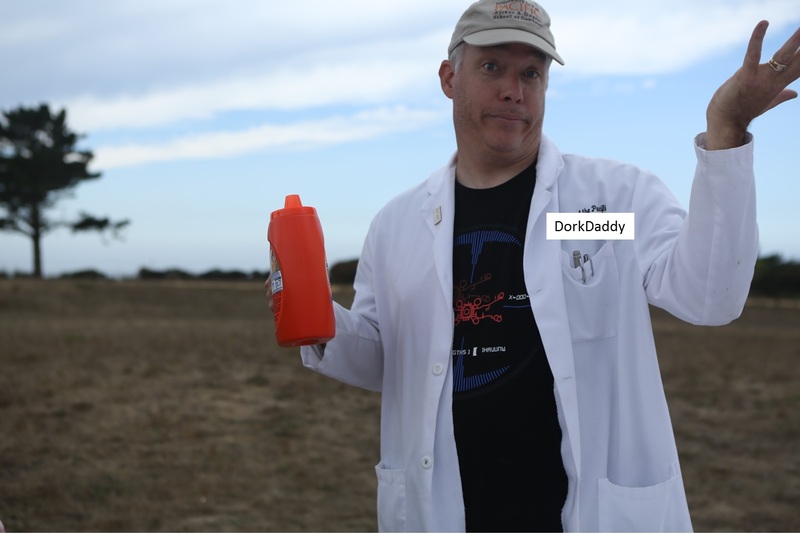 The good news was that I am supremely qualified in both the scientific and the dork arenas. I made sure I brought my A-game. I called all our little scientists over to the experimentation table where they found the scene pictured below. Each one of them had a pair of goggles (thank you Amazon.com) waiting for them. 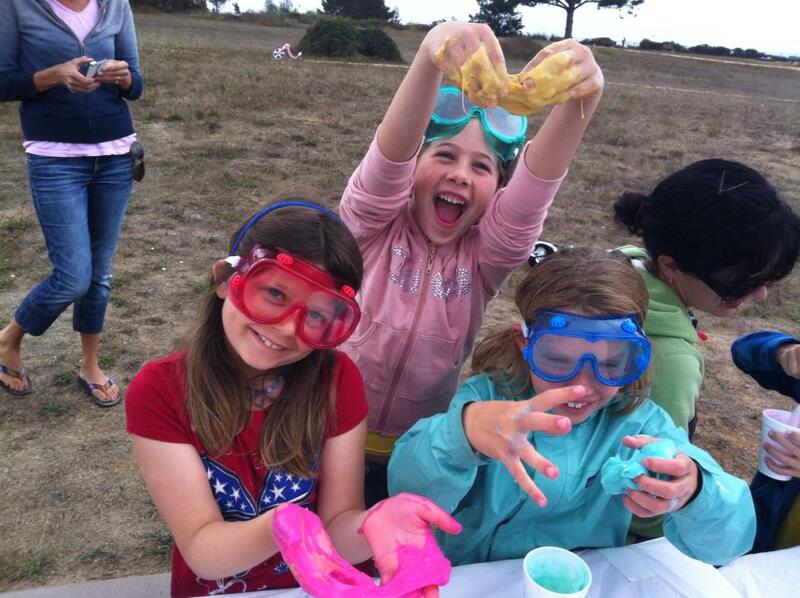 We took a moment to sharpie their names on their goggles and explain the rules: Nothing goes in your mouth. Everyone listens to instructions before starting. Etc, etc, etc. When they were sufficiently pumped-up, it was time to start the show. mint flavored mentos candy, diet cola (diet seems to work best, but any carbonated cola will do) in a bottle (any size)… cans are too difficult to work with (and don’t hold enough soda to make a spectacle), a mop (because this gets incredibly messy). The original, legendary experiment that, in one form or another, has spread like wildfire across YouTube, Facebook and the Twitterverse. It’s as simple as this: Get a bottle of diet cola. Carefully remove the cap so as not to release all the carbonation too quickly. 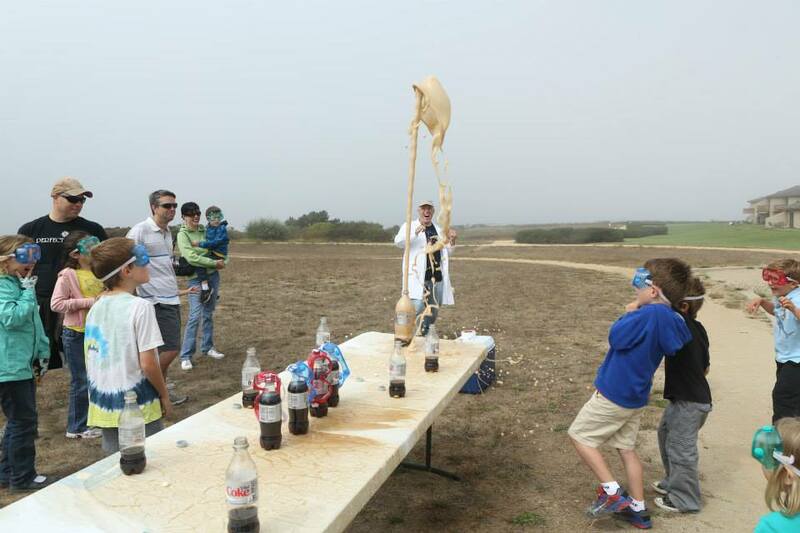 Drop in three mint-flavored mentos, and stand back to watch the cola-geyser of awesomeness erupt in dramatic fashion – and make an incredible mess all over the place (I would strongly encourage you to file this experiment in the “outside only” category). If you’re really feeling spunky, do a YouTube search on “mentos and soda” to see all of the creative variations on a theme. For my money, when you’re wrangling 20 5-year-olds, simplicity is key. Note: only the original mint-flavored mentos will work here. There are other flavor varieties, none of which work nearly as well for reasons I will explain later. 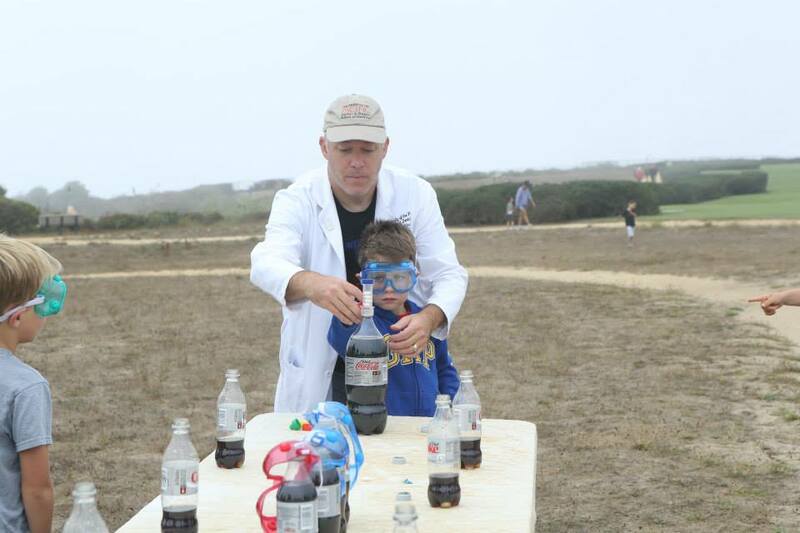 Another Note: Don’t throw away the soda bottles used in this experiment yet. Collect them all and have someone rinse them out thoroughly during the next experiment. You’ll use them again for the 3rd activity. The reason why this works is a phenomena called “nucleation.” To explain let me change to a different but not unrelated topic. For water gas to condense into a droplet it turns out that the gas needs something to condense around… some slight irregularity in the environment to grab onto. Without that slight irregularity the gaseous water stays stuck in gaseous form. At extreme altitudes where airplanes fly, the air is so pure/clean that gaseous water, no matter how badly it may want to turn into water droplets (clouds), has nothing to grab onto (nucleate around). So the gaseous water up there stays gas until an airplane comes around. The plane’s engines leave exhaust and that exhaust is made up of itty-bitty particles. Those particles are just perfect for the gaseous water to nucleate around, condense from gas to liquid, and form itty-bitty water droplets. And that’s airplane contrails are formed. 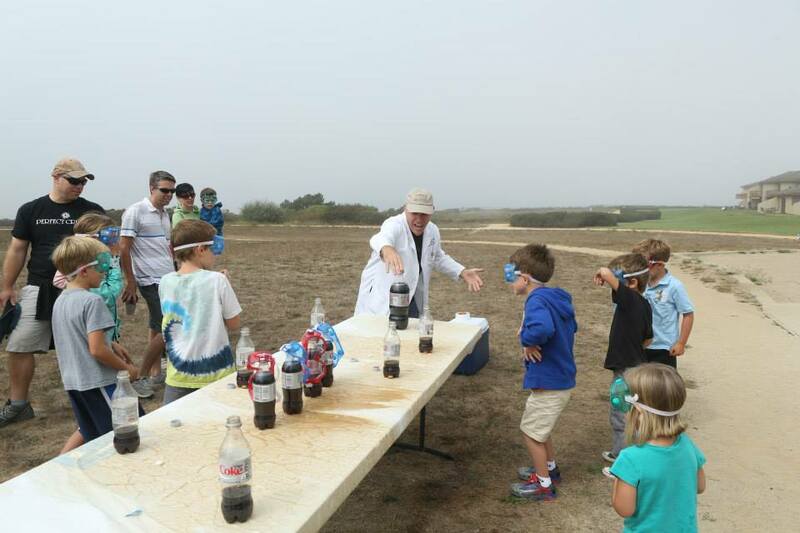 The same goes for the carbon dioxide gas stored up in the soda. The carbon dioxide gas is actually dissolved in the liquid cola and desperately wants to get out by forming a gas bubble and escaping. The problem is the inner surface of the plastic soda bottle is so uniform, so smooth, the carbon dioxide has nothing to nucleate around to form a bubble. As it turns out, the surface of the mint-flavored mentos candy has the perfect texture for nucleation. Drop three candies in and there is more than enough surface area around the candies for all the carbon dioxide in the bottle to grab on to, form gaseous bubbles, and fizz out of the cola almost all at once. This is why the other flavored mentos don’t work nearly as well. They have a waxy coating to them which is almost as smooth as the inside of the cola bottle, and are therefore nowhere near as effective for nucleation. Frame this experiment in the context of “states of matter,” which is to say solid, liquid and gas. 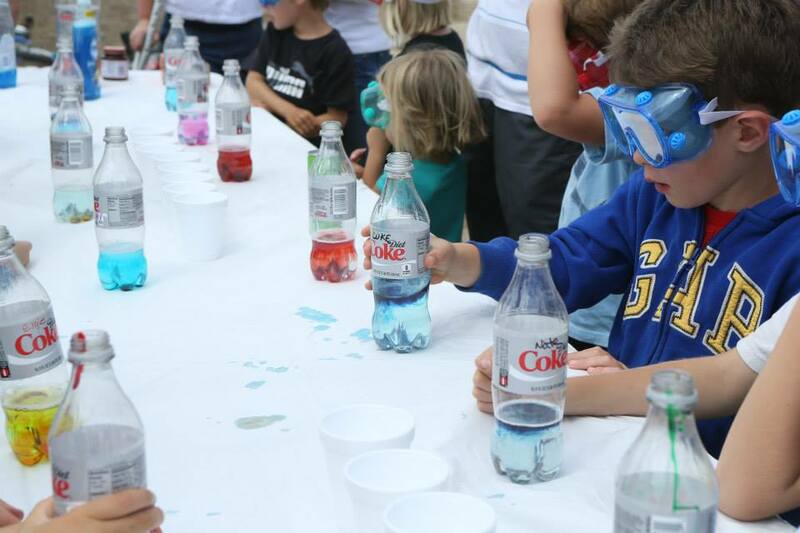 The candy represents the solid, the soda the liquid, and the gas is the carbon dioxide dissolved in the cola. The question at hand is how to get the gas out of the liquid. For extra fun you can purchase commercially produced geyser tubes to make the reaction erupt higher and in more than one direction. It’s particularly fun to watch all the parents standing around at the party go running for cover when the fountain reaches more than 12’ high and the wind blows the cola into the crowd. 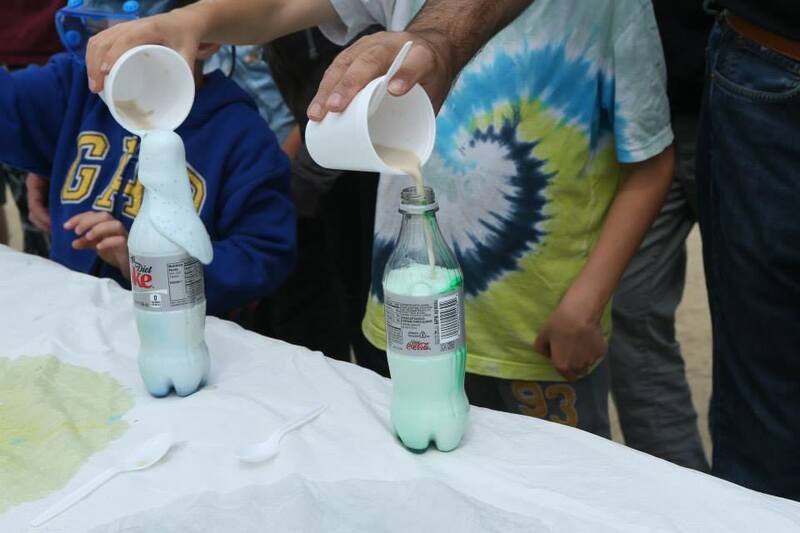 For a more merciful way to demonstrate solids, liquids and gasses a root beer float will do just as nicely. 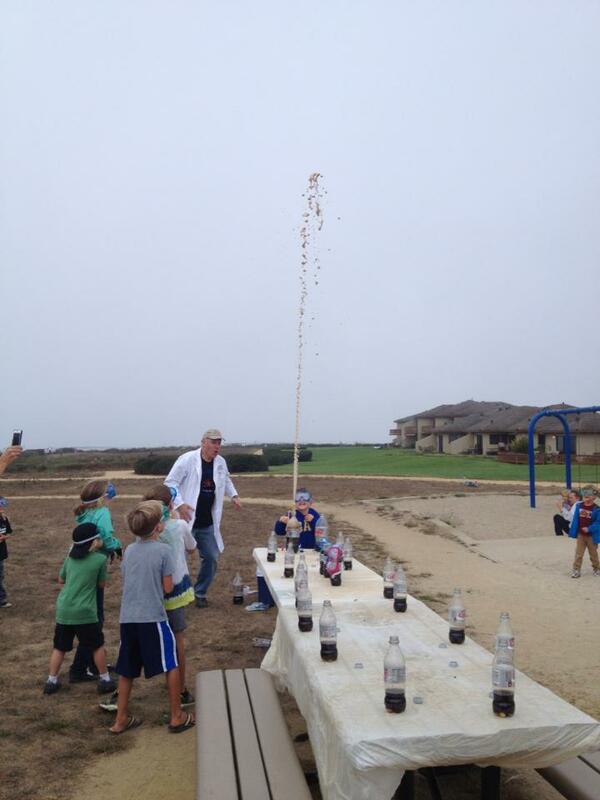 If you’re doing this activity in a classroom environment, it makes a nice way to wrap up a unit (and I can say from experience that root beer erupts just as effectively as diet cola). Experiment #2 was deliberately chosen for the #2 spot because it’s a little lower-key. You can’t keep kids at full RPM’s for the entire party, and I knew I wanted to finish with a bang. Best to bring it down a little. Pour just enough milk to cover the bottom of the colored plastic bowl; about ¼” deep should be more than enough. Place a few drops of food coloring (5 or 6) at random spots on the surface of the milk, taking care not to stir the drops and blend them into the milk. Just leave ‘em sitting there. For best effect, use a number of different colors. 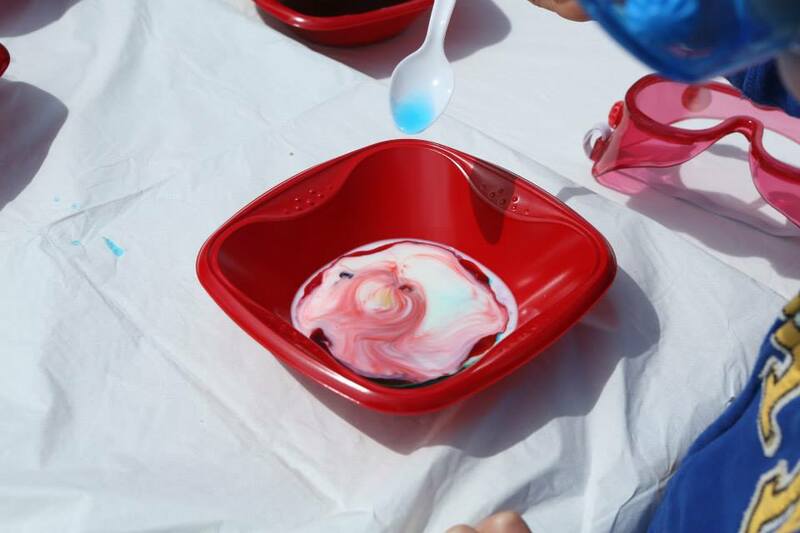 Put a little liquid detergent into a spoon and drop by drop, one drop at a time, drip the detergent into the milk at varying distances from the food coloring drops. Watch as the detergent makes the food coloring drops dramatically swirl and blend in the milk like a bad 60’s acid trip. Observe one of your detergent drops close up and watch the food coloring churn in a tiny turbulent pattern. Fats and oils (lipids) are very long, large molecules that are difficult to digest. In order to extract energy out of lipids our bodies first need to break them down into much smaller pieces – it needs to emulsify them. Just underneath our livers is the gallbladder which releases bile into our digestive system, the purpose of which is to emulsify the fats we eat so our bodies can better extract energy from lipids. Where organic chemistry is concerned, detergents perform much the same as the bile in our digestive tracts. They break long lipid molecules down into much smaller chunks. 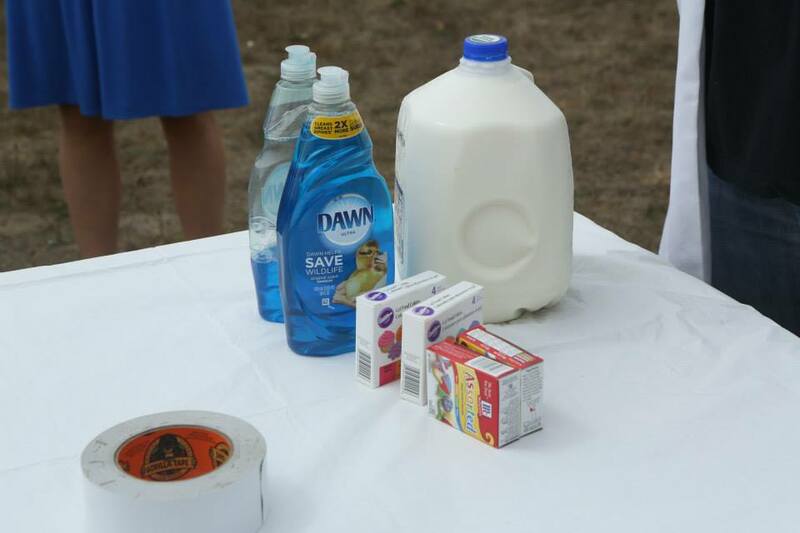 When you put a drop of detergent into the milk, the detergent begins to emulsify the fats in the milk. The food coloring drops swirl, mix and churn because they follow the currents in the milk initiated by the emulsification. If you want to get messy with things, you can hand each child at the party a potato chip and ask them to rub it between their hands until it’s smashed to oblivion (a little piece of hot dog would work too). Then have them reflect on what’s left on the palms of their hands. They should notice the grease right away. The grease is a lipid, and it’s in most foods that we eat. 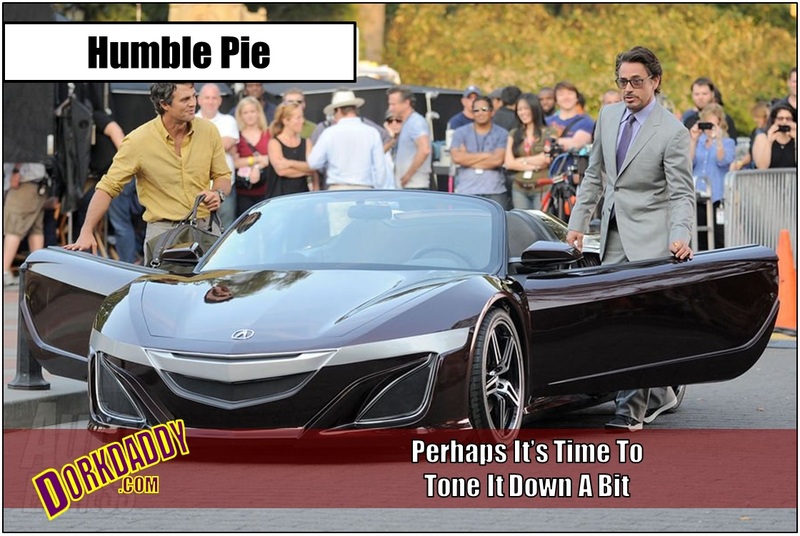 Since chewing grease doesn’t break it down, our bodies needs to find another way to emulsify it. That’s where the gall bladder and bile come into play. A bottle of vinegar and oil salad dressing also makes an effective demonstration. Notice how the vinegar and oil is separated after it’s been sitting for a while. Shake the bottle vigorously and notice how the oil is now broken into many itty-bitty little droplets that are suspended in the vinegar. The lipids have been emulsified. UnDorkMommy had carefully coordinated the delivery of the pizza to coincide with the Rainbow Milk experiment. By the time we were done everyone was getting hungry, and the pizza was piping hot and ready to go. I sent them over to the other tables to refill their tanks. Again, I took the opportunity to clean up from the previous experiment. We bundled everything up in the tablecloths, stuffed ’em in a garbage bag, and taped down fresh tablecloths like a Formula-1 pit crew. After everyone (except DorkDaddy) got a few slices of pizza in them, it was time to ramp-up the “Ooooh… Aaaaa” factor. 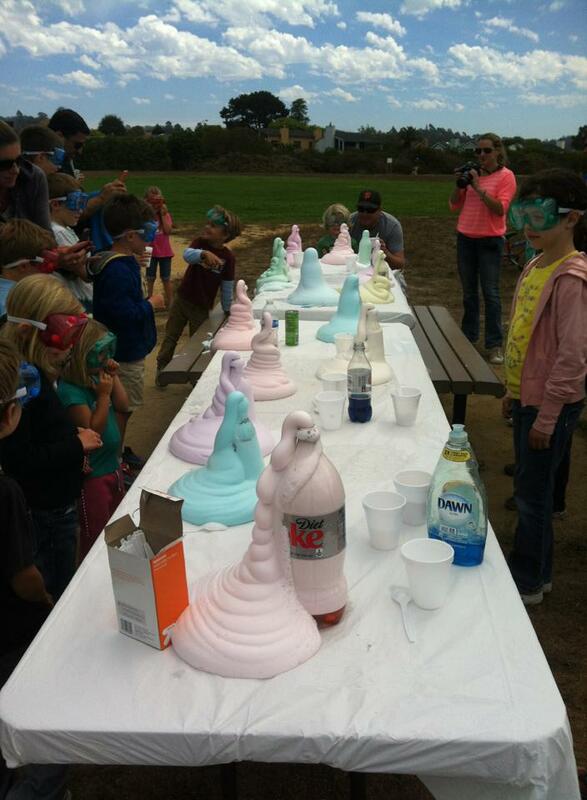 IMPORTANT NOTE: Although this activity is called “elephant toothpaste,” under no circumstances should any of the materials be put in the mouth. Adult supervision is a must. First things first: get a decent tablecloth down, preferably one with paper on one side and plastic on the other. This experiment is ultra-messy, so you’ll want the plastic side of the tablecloth down and the paper (absorbent) side up. Place about three fingers (scotch reference) of 6% hydrogen peroxide into an empty soda bottle. 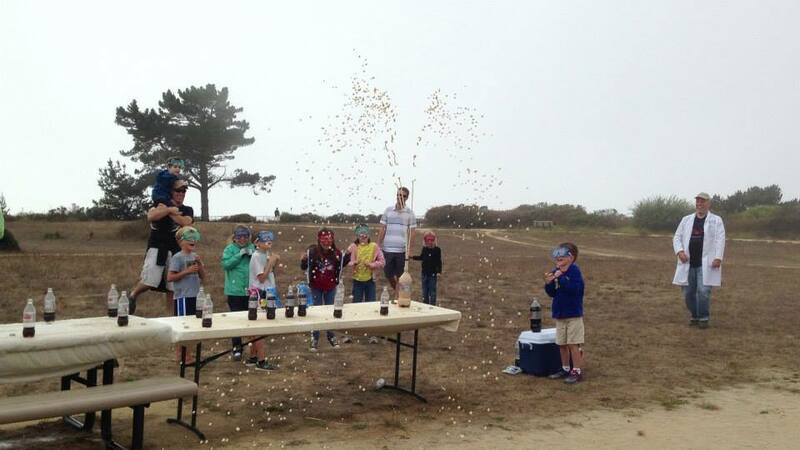 If you’re recycling the bottles from the mentos/soda activity, be sure they’re thoroughly rinsed out. They don’t have to be dry. IMPORTANT NOTE: Hydrogen peroxide can irritate eyes and skin; concentrated hydrogen peroxide even more so. 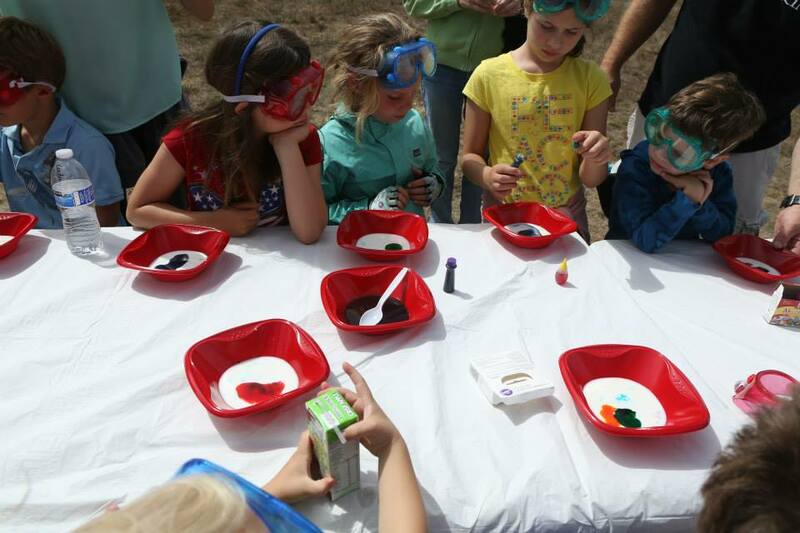 This part of the experiment should be done by grownups, and eye-protection is an absolute must. Into the bottle with peroxide, squirt a little bit of liquid dish soap and three or four (5 or 6) drops of the food coloring of your choice. Be careful not to shake up the solution and make it frothy. Just gently swirl the peroxide/soap/food coloring until it’s nice and uniform… minimal bubbles at this point. Fill a separate cup about ½ full with water and stir in one spoonful of dry yeast (you can find dry yeast in the grocery store by the flour… took me a freakin’ hour to figure that out). When the yeast/water is well stirred, pour it into the bottle with the peroxide/soap/food coloring. 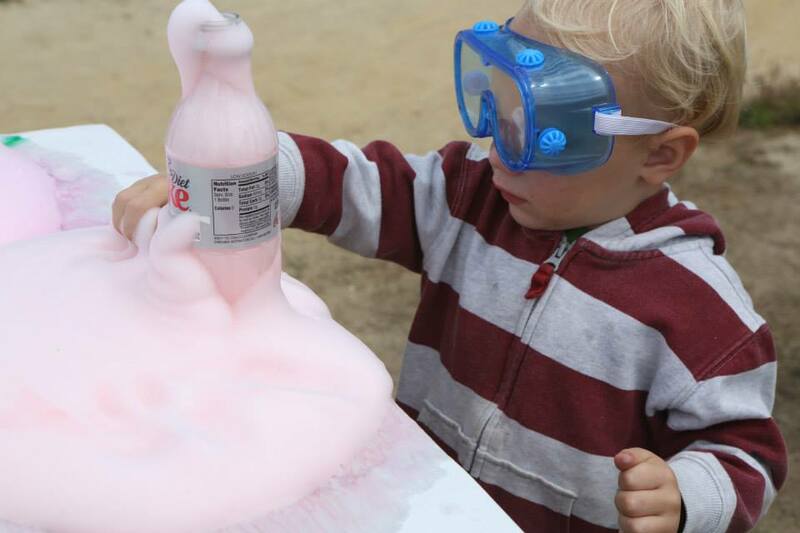 Stand back and watch an awesome, Technicolor, foamy mess bubble forth from your bottle. 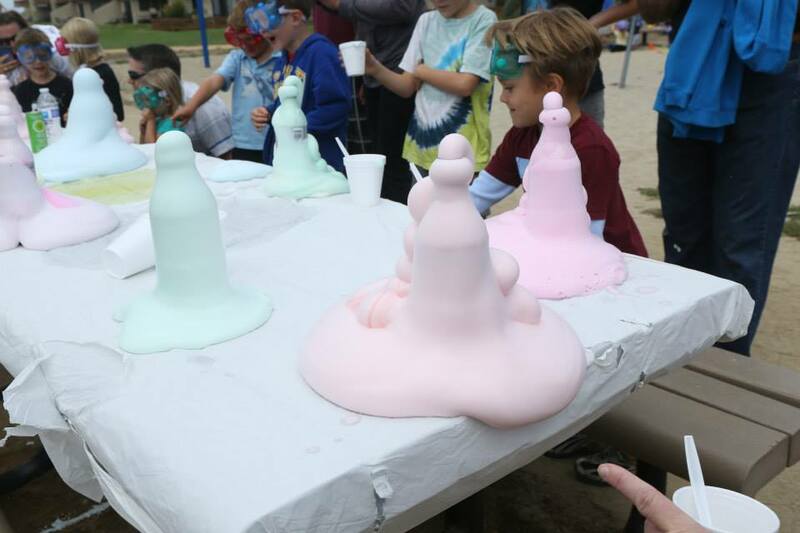 The reaction will keep going for a good long while, and very soon it will become clear why it’s called “elephant toothpaste”. When the reaction is done it’s perfectly safe to touch. At this point it’s just soap and water. Notice that the foam is a little warmer than you would expect. Hydrogen peroxide is a molecule with two hydrogens and two oxygens (H2O2). All by itself it wants to break down into water and oxygen gas (2H2O2→ 2H2O+O2). It’s the oxygen gas that you’re seeing when you see hydrogen peroxide bubble. The reaction is easily quickened if you introduce impurities (remember nucleation?) or even sunlight (that’s why it comes in brown bottles). The dry yeast acts as a nucleation site, which makes it easier for the hydrogen peroxide to break down. Tiny oxygen bubbles are then trapped in the dish soap, and the result is a really cool (and messy) foam that continues to froth out of the bottle like someone endlessly squeezing a tube of toothpaste. It is an axiom in chemistry that whenever a bond is broken energy is released. That holds true for hydrogen peroxide breaking down into water and oxygen. The foam will feel slightly warm, like a plate fresh out of the dishwasher. Reactions like this are called “exothermic.” Had we used more concentrated hydrogen peroxide, more heat would have been released in the same space, and would therefore feel much warmer, even hot. In this regard, stick with the 6% peroxide. The reaction isn’t too exothermic, and isn’t too abrupt. It’s just right for a bunch of kids. Do a “elephant toothpaste” search on YouTube and you’ll find all sorts of fantastic video variations on the same theme. If you’re doing this experiment in a classroom it makes a great way to wrap up the lesson. 3 experiments down. One to go. This time we sent the kids for cupcakes, and blowing out the candles. The pit crew did their thing again at the experiment tables. 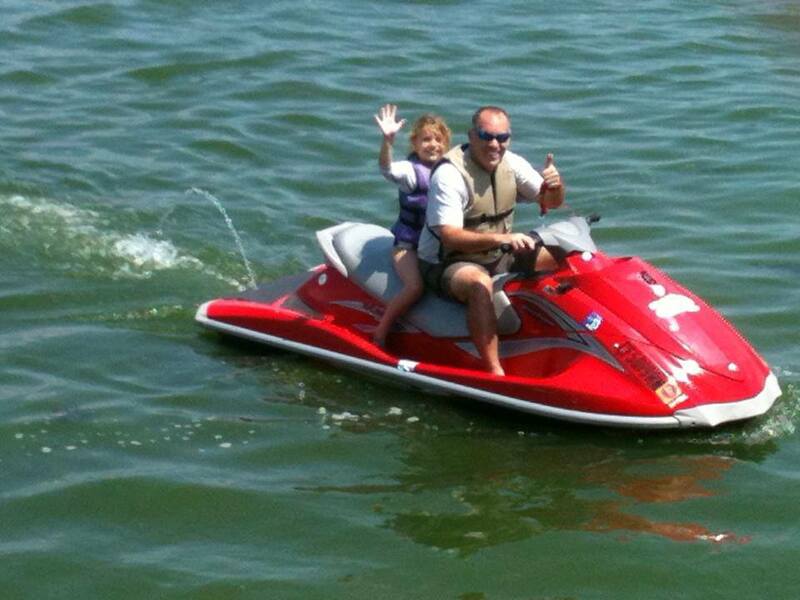 It was important to sugar the kids up because the next activity was the grand finale. 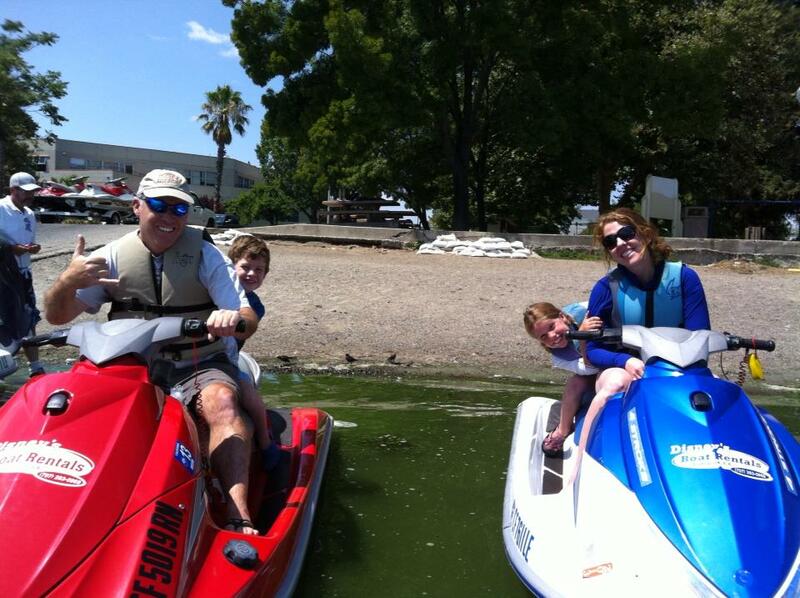 By the time we were done we could hand ’em back to their parents for de-tox. 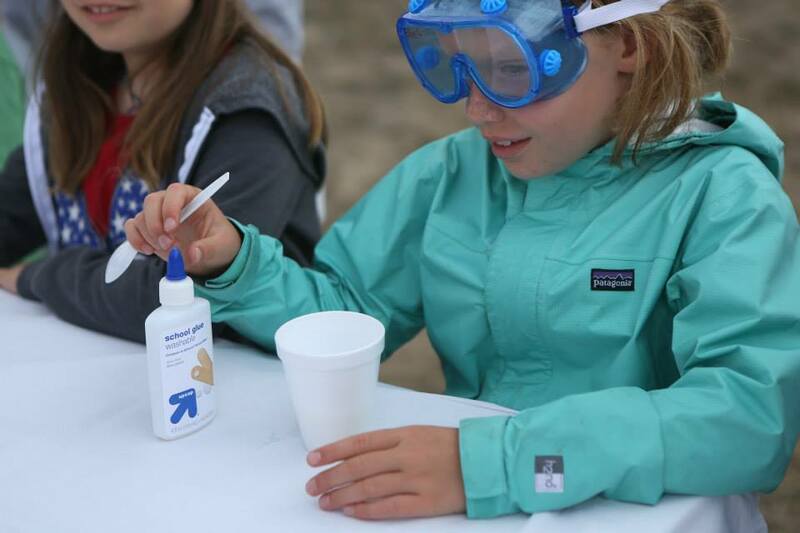 Pour a healthy quantity of Elmer’s glue into a disposable cup (ideally about ½ full). 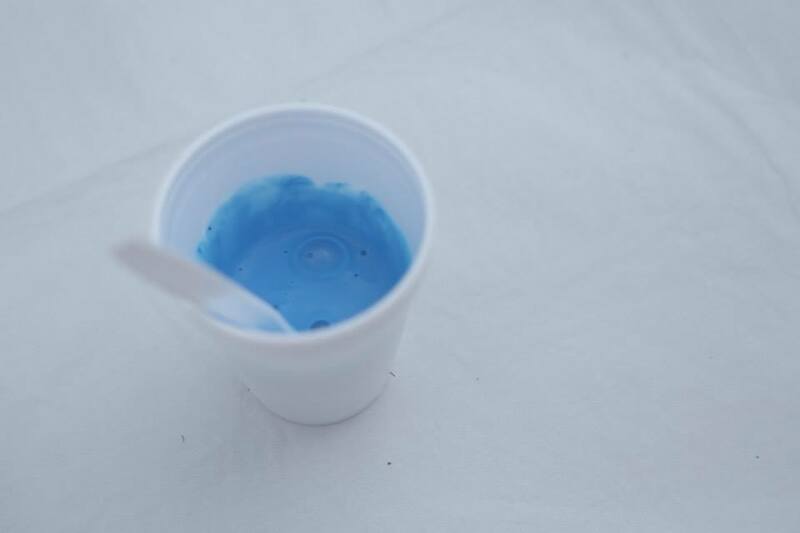 Put in 3 or 4 (5 or 6) drops of the food coloring color of your choice and stir evenly with a plastic spoon. In a separate cup fill about ½ full with water. 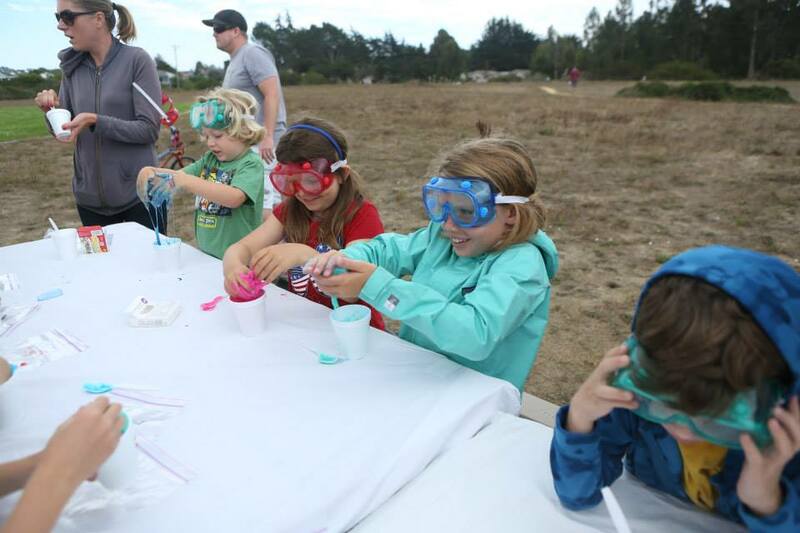 With a separate, 2nd spoon scoop a spoonful of borax into the water and stir thoroughly. 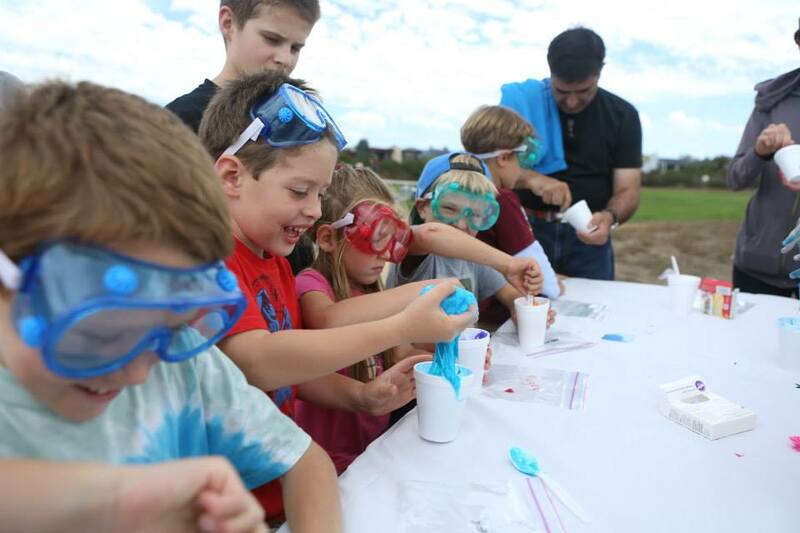 The borax won’t dissolve particularly well in water, but enough will get in solution to do the trick. NOTE: Boron is toxic via ingestion. As always, nothing used in this experiment should wind up in anyone’s mouth. Adult supervision please. At this point I should point out that the entire borax/water step can be substituted with straight-up liquid laundry detergent. It certainly simplifies the entire procedure with fewer steps, and for that reason that’s the way we went at the party (with 18 kids to wrangle, simplicity is key). But having done the experiment both ways I have to say, the results are much better with borax. 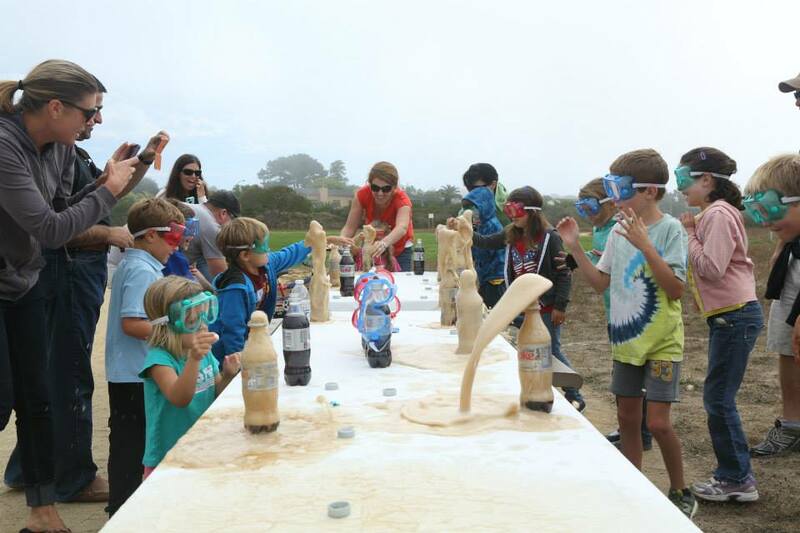 The borax gak is more rubbery, where the detergent gak is more whispy, runny, sticky and slimy. If you don’t want the stuff getting in your kid’s hair, on their clothes and all over the car upholstery, rubbery is better. In any case, be sure to have a zip-lock baggie handy for storage when you’re all done. Gak preserves pretty well in a zip-lock. Before the powdered borax in water settles to the bottom of the cup, pour a healthy quantity of water/borax into the cup with the colored glue and stir vigorously. Stirring will require a little strength as the reaction takes place and the concoction begins to gel. At some point it may require an adult with a stronger arm. Additionally, the mixture tends to form “glue bubbles” where a thin skin of rubbery slime encapsulates a wet, sticky bubble of unreacted glue. At some point the scientist will have to scoop the concoction out of the cup with his/her hands (don’t worry, everything here is safe to touch) and kneed it around to incorporate as much borax solution as possible. 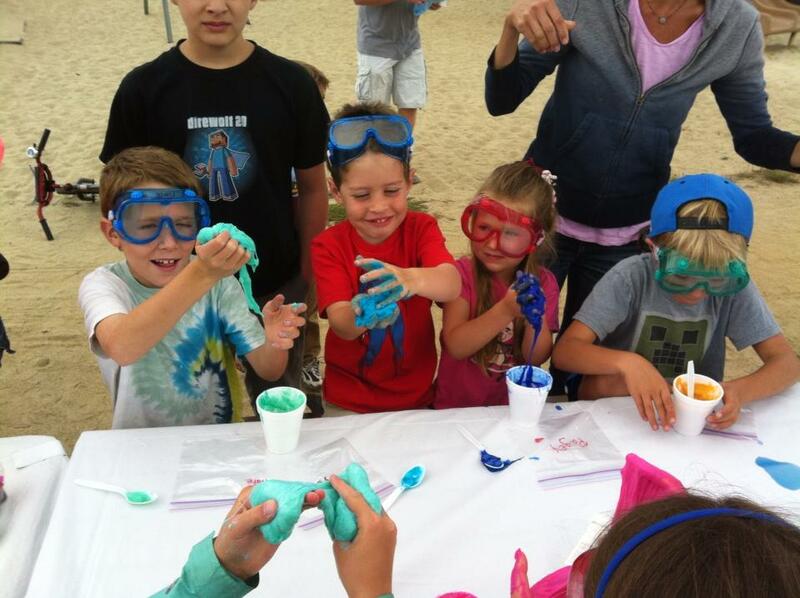 Eventually the scientist will be holding in his/her hands an awesome, slimy, nasty handful of colored gak. If the results seem too sticky, too liquid for your tastes, just add more borax solution to firm it up to the desired consistency. Eventually it shouldn’t stick to your scientist’s hands. It isn’t polyvinyl acetate, it’s polyvinyl alcohol. But you get the point. essentially linking them all up together and making the big long polyvinyl molecules even more likely to get tangled — which in turn changes the solution from a thickish liquid to a stable gel. When discussing polymers and monomers, first pull out a bunch of same-sized legos (duplo blocks work even better because they’re bigger and easier to see). Explain how, on their own, each lego brick is a monomer. Under the proper conditions it’s possible to link them all up into a big, long chain. In chemistry, that chain is called a polymer… made up of individual, identical monomers. Next get the kids up off their butts and out into a defined, open space. Instruct them to wander around on their own, herd-style, within the space. Notice how easy it is to move around, even if they do bump into another kid once in a while. Then, when you shout “CATALYST” each kid needs to find the kid closest to them and link arms, a different kid on each arm, eventually making a long (polymer) chain of linked (monomer) kids. Now instruct the chain to wander around in the same defined space without breaking the links. They’ll quickly see it’s a lot tougher to wander. That’s why the glue goes from liquid to gel after the polymerization reaction. 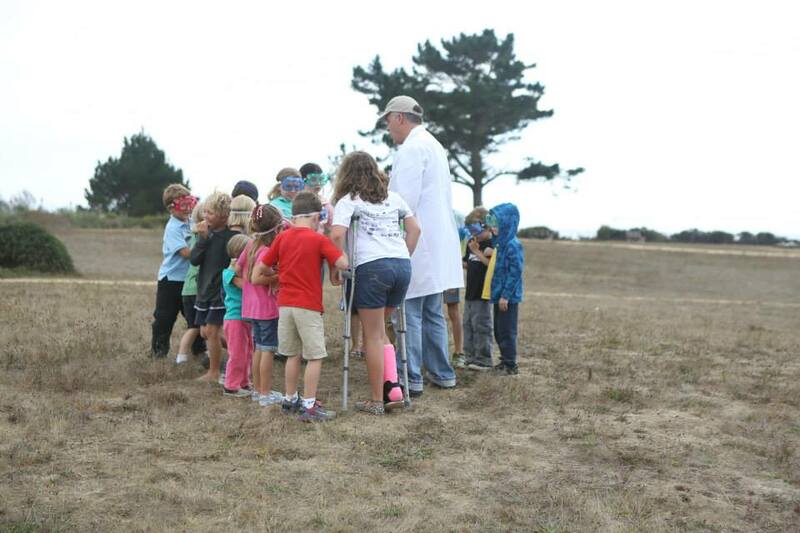 And THAT, ladies and gentlemen, is how to throw a 5th birthday party of scientific awesomeness!! Do you have a school-age kid? I do. 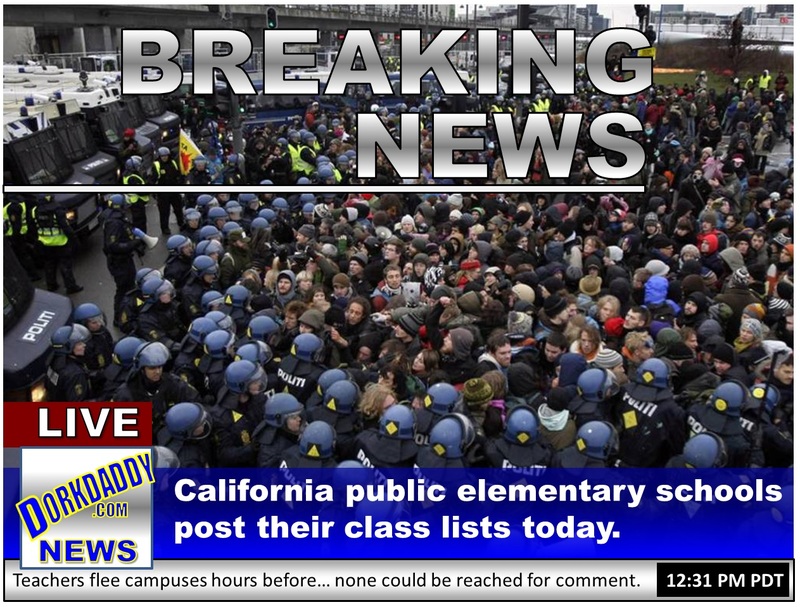 The list went up today. 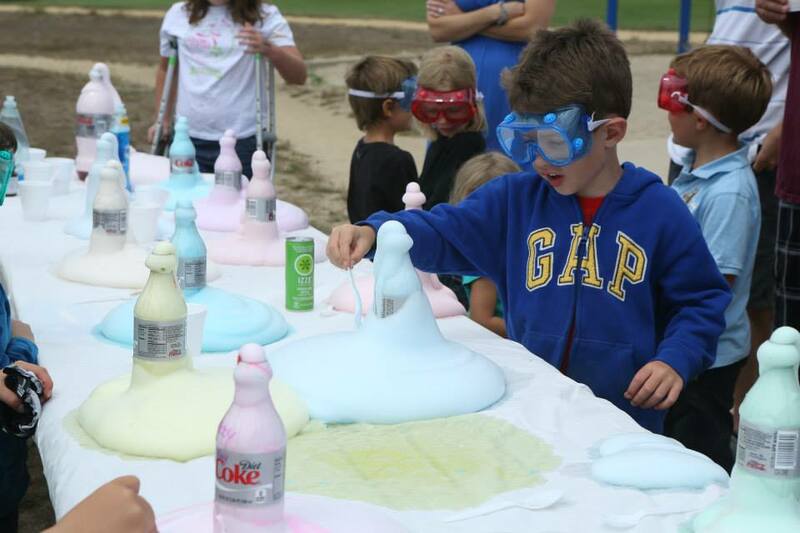 How was “the scene” at your elementary school this week? Episode V: Hey, Mommy. Come here, quick! UnDorkMommy: Honey, I have to take care of your baby brother. Just a moment. Episode V: Mommy! Mommy! Quick! Come here! Hurry! UnDorkMommy: OK. OK. **walks across the room to Episode V** What is it, honey? Episide V: I just made a really big toot. Can you smell it? 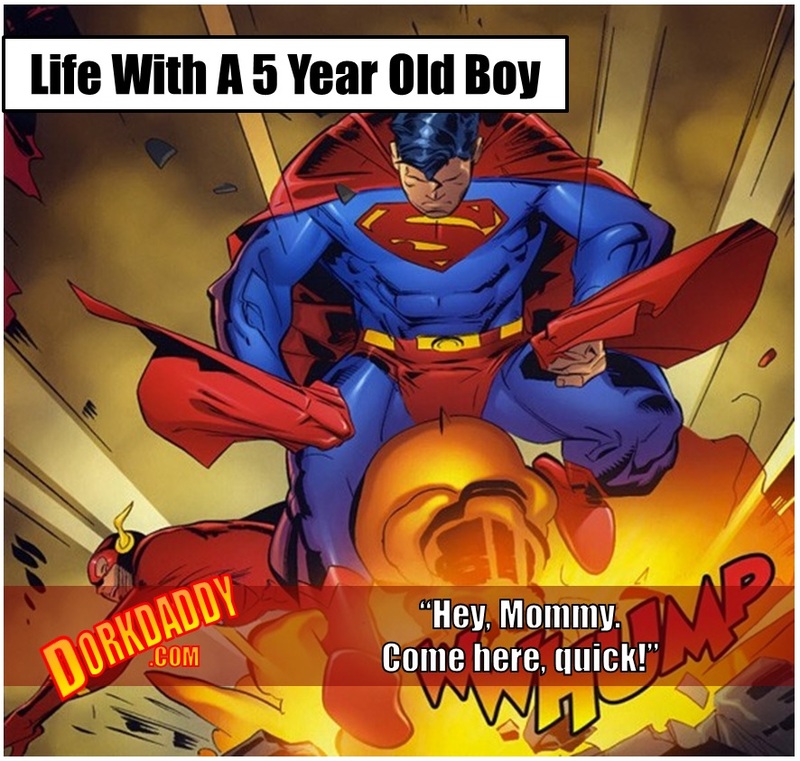 UnDorkMommy: Oh. Ugh. *gag* Oh my gosh! Episode V: **smile on his face** I know. It’s a really stinky one, isn’t it? Is it wrong that I want to give him a high-5? 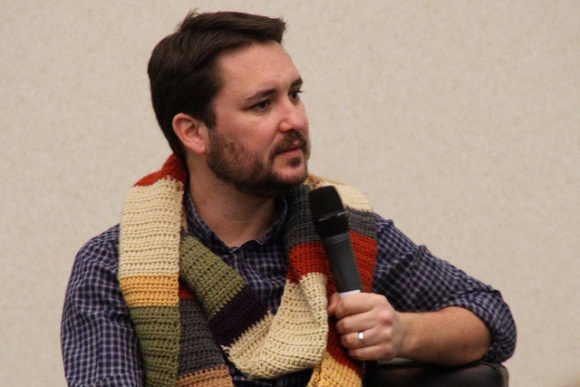 t a recent convention, child actor and well-credentialed nerd ambassador Will Wheaton sat on a panel attended by conventioneers. 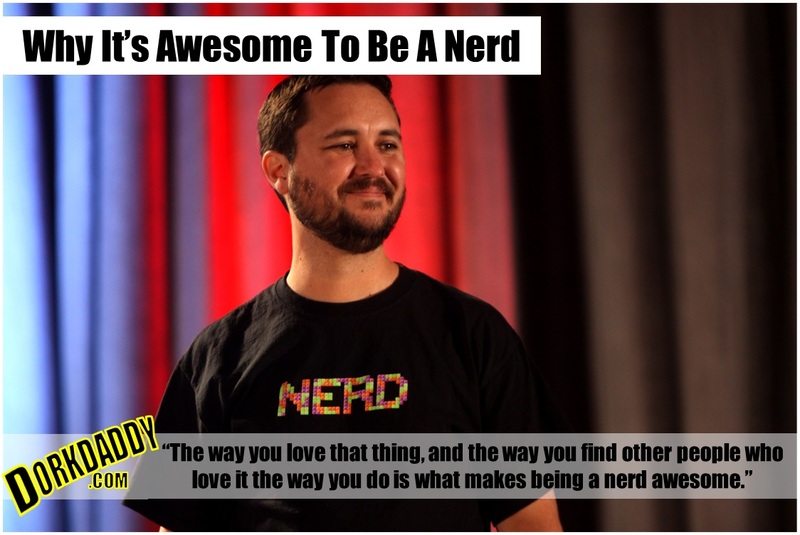 During the question-and-answer period one convention-goer (with a video camera) told Mr. Wheaton about her recently born daughter and asked him to describe for her daughter what was awesome about being a nerd. The answer Mr. Wheaton gave was profound. In my opinion it was dead-on and touched the very zeitgeist of the feeling I try to get across in this blog. No matter what it is you love: Dr. Who, classical composers, Star Wars, architecture, animation, parenting… it’s all about loving those things as much as you can, and finding other people who love those same things as much as you do. The convention-goer put the video up on YouTube and it is currently making the viral-rounds in nerd-circles (which I thoroughly travel). Of course you can just watch the video below if you like. But I think some things are so profound, so important, they are worth writing down. Hi, Violet. My name is Will Wheaton. It’s 2013 and you’ve just recently joined us on planet Earth, so welcome. I’m an actor and I’m a writer and I’m a dad and your mother asked me to tell you why it’s awesome to be a nerd and that’s an easy thing for me to do because that’s who I am. I don’t know what the world’s going to be like by the time you understand this. I don’t know what it’s going to mean to be a nerd when you are a young woman. For me, when I was growing up being a nerd meant that I liked things that were a little weird, that took a lot of effort to appreciate and understand. It meant that I loved science and I loved playing board games and reading books and really understanding what went on in the world instead of just riding the planet through space. When I was a little boy people really teased us about that and made us feel like there was something wrong with us for loving those things. Now that I’m an adult I’m kind of a professional nerd and the world has changed a lot and I think a lot of us have realized that being a nerd, or being a “geek” is another word you’ll hear and I sort of use the terms interchangeably, it’s not about what you love. It’s about how you love it. So there’s going to be a thing in your life that you love and I don’t know what it’s going to be. It might be sports. It might be science. It might be reading. It might be fashion design, it might be building things. It might be telling stories or taking pictures. It doesn’t matter what it is. The way you love that and the way that you find other people who love it the way you do is what makes being a nerd awesome. The defining characteristic of us, the people in this room – and I’m going to ask your mom to turn this camera around in a minute. Go there, go mom. **camera pans around to show a convention hall chalk-full of enthusiastic nerds** The defining characteristic that ties us all together is that we love things. Some of us love Firefly, and some of us love Game of Thrones, and some of us love – these are things you’ll be able to go see. They’re in your nerd history book. Some of us love Star Trek or Star Wars or anime or games or fantasy or science fiction. Some of us love completely different things, but we all love those things so much that we travel thousands of miles – which is probably easy for you but we’re still on fossil fuels. I don’t know what you’re going to be on, but it’s difficult. We come from all over, in some cases all over the world, so that we can be around people who love the things that we love the way that we love them. And that’s why being a nerd is awesome. Don’t ever let anybody tell you that that thing that you love is a thing that you can’t love. Don’t ever let anyone tell you you can’t love that, that’s for boys. You have to love this because you’re a girl. You find the things that you love and you love them the most that you can. And listen, this is really important, I want you to be honest, honorable, kind. I want you to work hard because everything worth doing is hard. And I want you to be awesome. And I’m going to do my very best to leave you a planet that you can still live on. Have a great life. Below is the YouTube video if you’d like to watch it for yourself. 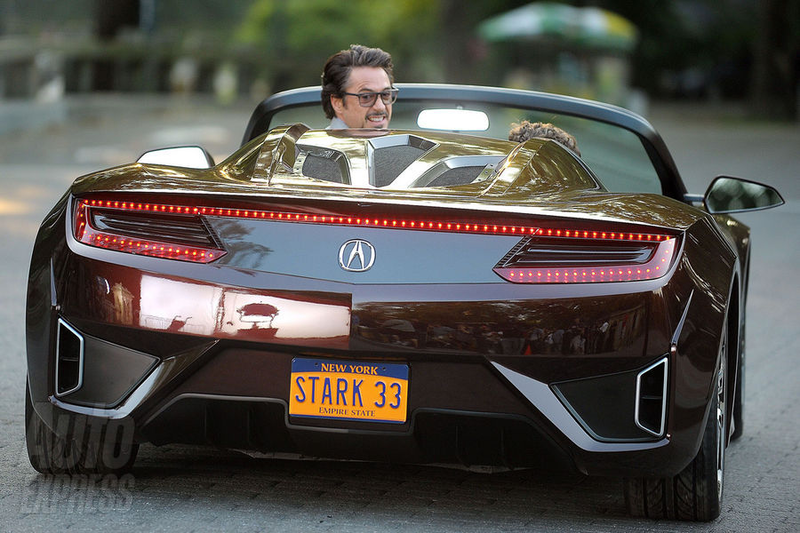 The lesson here is that whatever kind of nerd you are, celebrate it. It’s all about love. In the comments below share with us what kind of nerd you are.